Most non-Spanish readers probably don't know what is "Hispania Wargames". Hispania is a board games convention done in Alhaurín de la Torre (Málaga), south Spain. There we can find tournaments, masterclass, workshops, news... so many activities for those who love the board games, of course, including wargames or miniature games. 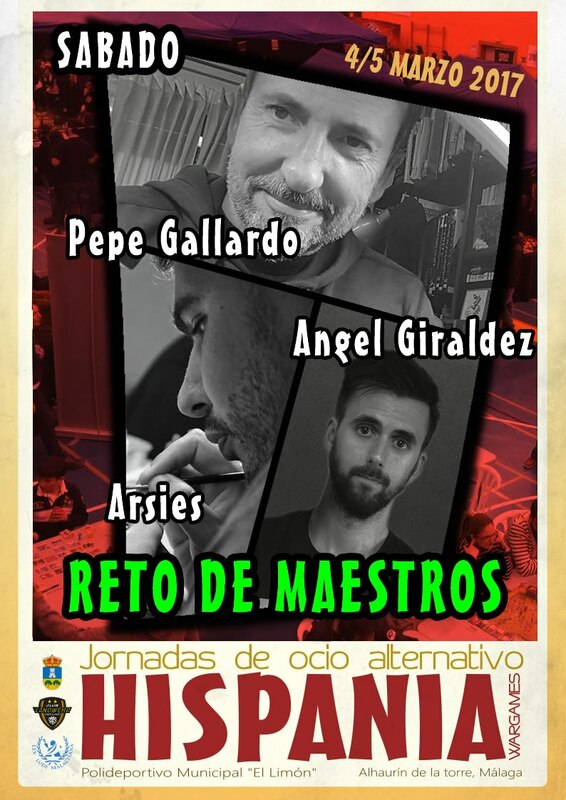 This year I'm going to be special guest and part of the painting contest's jury. Also, the judges were committed to testing our abilities between us in a fast painting challenge. I also will do a fast tabletop painting masterclass on Saturday, so if you are a pro tabletop gamer and want to have the BEST painted miniatures as possible spending the LESS time possible, maybe you could be interested in. Also, it is possible (I can't confirm it yet) that you can purchase my new book if there is some excedent from the Kickstarter. You don't loose anything trying, isn't it? 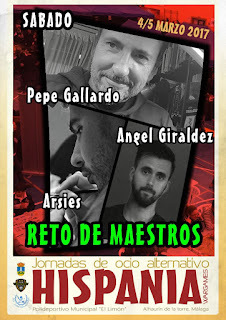 Un cartel buenísimo, lo más seguro es que me pase por allí, pues vivo al lado, a ver si puedo asistir a esos cursos para novatos, que mal no me vendrían XD.